If you’re anything like most people who’ve consumed one too many drinks one too many times, then kava may be your ticket to a fun social environment without all the headaches that inevitably come along with drinking alcohol. 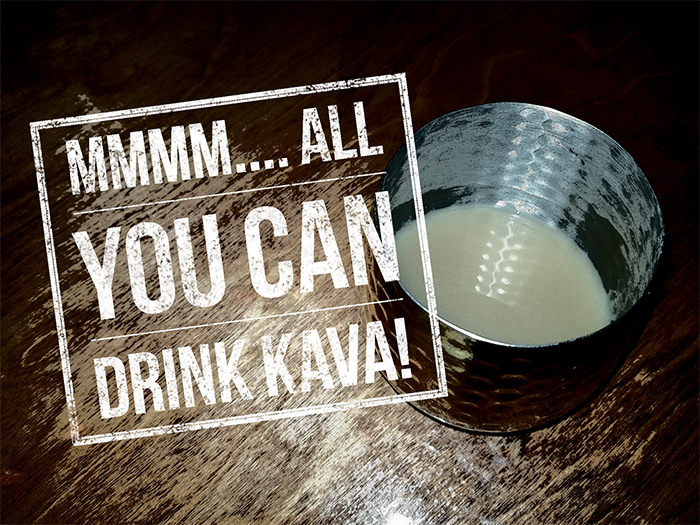 Kava has grown in popularity over the years and is consumed in a variety of ways. Typically in a social setting, its ingested as a drink and is often served in a bowl or a cup that’s shaped like a coconut shell. Kava is made from the root of a pepper plant grown in the fertile soils of the Pacific Islands. The root is crushed down into a fine powder which is then mixed with water and other substances such as coconut milk for liquid consumption. Drinking kava has become a popular choice for alcoholics and others looking for an alternative to alcohol due to its relaxing, mood enhancing effects and because it’s strongly suggested by many to not be consumed with alcohol because its a liver detoxifier. 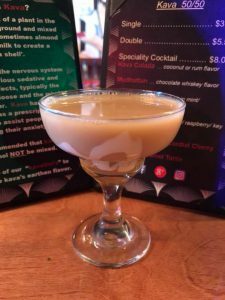 Most kava bars in the largest kava community in the world – located in South Florida suggest waiting at least twelve hours before consuming kava or alcohol after you’ve drunk one or the other. Basically, alcohol and kava really do not mix safely. Because of this, many alcoholics will enjoy a few shells of kava before going out with friends, because they know that if they’ve drunk kava first, that they won’t be able to drink alcohol as it could cause them to become so sick that they will end up in the hospital or in more mild cases, they’ll end up vomiting for hours. Many alcoholics will drink at least one kava shell a day just to ensure they don’t relapse. For most who have reached the end of their rope with alcohol, they’re happy to switch over to kava. Many kava bars are set up in a style similar to that of alcohol bars in that there’s a bar, there’s a comfortable seating environment, there’s often great music playing, complimentary wifi offered and a variety of people to interact with. Kava assists with easing anxiety and because of this, a kava bar is a great place for persons with social anxiety to come and interact with others. The kava shells help them to come out of their shyness shells and opens them up to communicate with people they may have never spoken to before due to their insecurities. 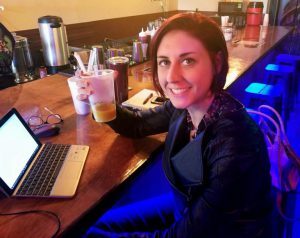 If you ask many people in the kava community, for example, many of the customers who frequent Speakeasy Kava located in Largo, FL; they’ll testify to you that kava has saved their lives and has helped them to start living a healthier lifestyle that focuses more on physical and mental wellness. Shell of Kava – Bula! At only $3 to $4 for a drink of relaxing kava, it’s a safe and affordable alternative to alcohol that men and women of all ages can enjoy that won’t leave you with a hangover, a DUI, a phone full of text messages you don’t remember sending and the pain you may have caused to friends and family by saying things you didn’t mean to say, because you were drunk. 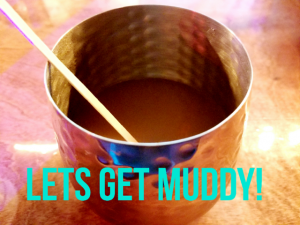 Check out a local kava bar today! Previous StoryAn Herb to Help with Opiate Withdrawals? Next StorySocial Anxiety Disorder? Try A Kava Bar!